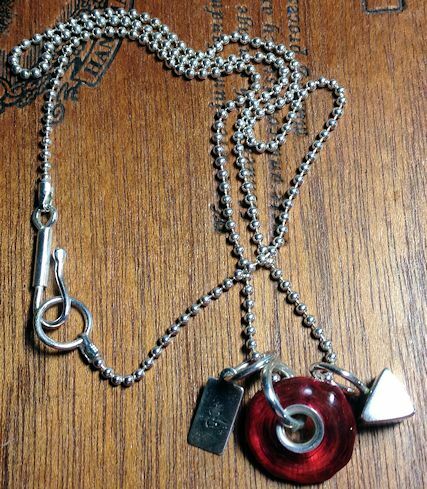 I put together three charms I made onto a sterling silver ball chain. I added the clasp as those connector things are too hard to take apart and put back together. I stamped the little rectangle tag with a Kanji character – Happiness and made the bead that is cored with silver tubing. The triangle charm is made with scraps of silver that I’ve accumulated. I want to use some of the bronze clay pieces in necklaces like this.